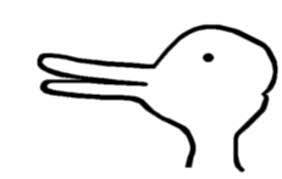 I have a very talented friend called Katy, who studied Philosophy at Crichton campus and heard about Wittgenstein’s duck-rabbit. Here is it from the original Philosophical Investigations II, XI (p194). Wittgenstein is talking about the difference between “seeing”and “seeing as”, (or “continual seeing” and “dawning”) and this picture is meant to be an illustration of the way that we can only see something as one thing at once, though there may be different ways of seeing it. I’ve always had a problem seeing this as a rabbit at all, but Katy drew this instead. 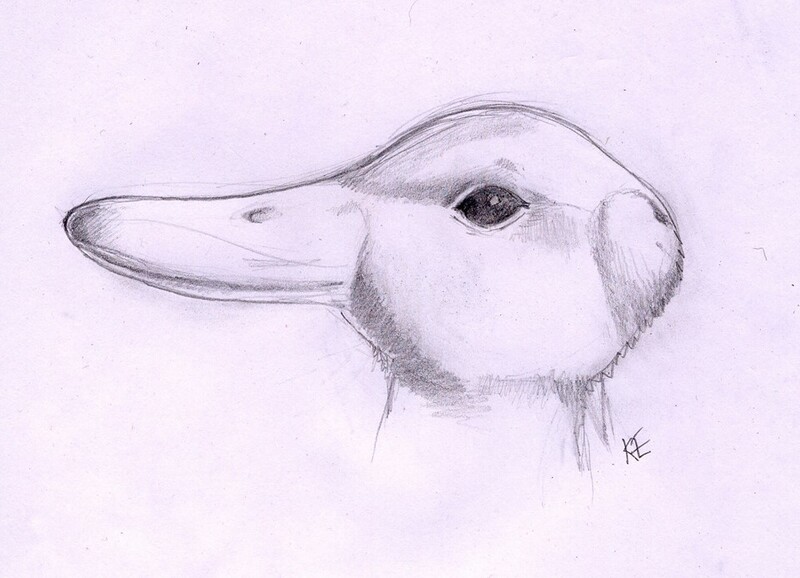 Now that’s a duck-rabbit! This entry was posted in Philosophy, Wittgenstein and tagged Perception, Philosophy, Wittgenstein. Bookmark the permalink.